DUMP TRAILER WITH 12V RECHARGABLE BATTERY POWERED HYDRALIC DUMPING BED. SURGE BRAKE WILL OPERATE BRAKES WITHOUT ELECTRIC BRAKE CONTROLLER. 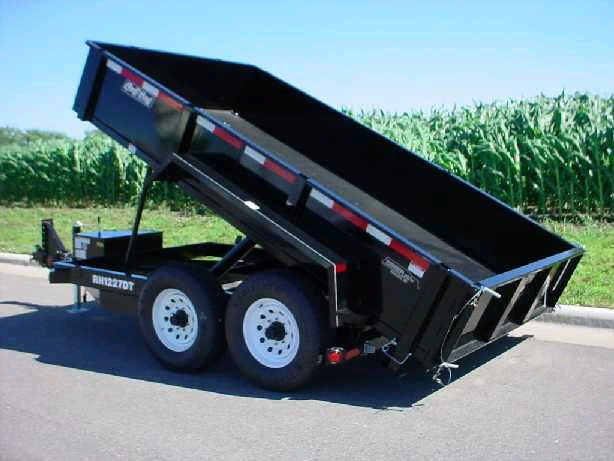 * Please call us for any questions on our trailer dump 6 foot 6 inch x12 foot 2axle surge brake rentals in Portland OR, Gresham OR, Milwaukee OR, and surrounding metro area.